Oral Hygiene Mouth Throat rinsing elixir Vivasan Webshop - Vivasan Webshop English - World wide delivery Vivasan Official Webshop® is specialized in shipments to the UK, Ireland and Scandinavian countries. Best prices! 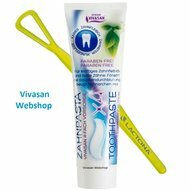 Oral Hygiene Mouth Throat rinsing elixir from Vivasan strengthens the gums, works preventively against caries, prevents bleeding of the gums and the formation of tartar, gives a pleasant fresh breath and helps to prevent snoring. The disinfectant properties of Oral Hygiene Mouth Throat rinsing elixir prevent the formation of an unpleasant mouth odor and provides fresh breath. Vivasan Oral Hygiene oral care elixir moistens the mucous membrane and softens it. The tissue of the larynx becomes firmer, thereby normalizing breathing during the sleep. This reduces night-time snoring. Ideal when used with Vivasan 4-fold Toothpaste and Tongue Cleaner IQ. 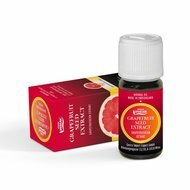 Oral Hygiene Mouthcare Elixir contains a concentrated mixture of one hundred percent pure natural essential oils such as: orange, mint, lavender, carnation, lemon, thyme, pistachio, tea tree, manuka, kanuka. 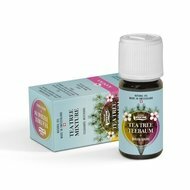 This carefully formulated combination ensures efficient and complete care and protection of the mouth and pharynx and prevents snoring. Add 5 to 10 drops of Oral Hygiene Mouth Throat elixir to a glass of water. Rinse and gurgle the mouth and the throat. To achieve a better result, it is advisable to repeat this procedure several times a day, especially after the meals. For the reduction of snoring and snoring problems and the relief of breathing during sleep, the mouth and especially the throat should be thoroughly rinsed and gurgled before sleeping. Do not eat anymore. Store at room temperature in a place that is inaccessible to children. Avoid contact with the eyes. 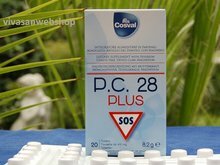 Good product and very good service. 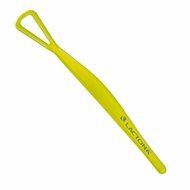 In really helps against snoring in combination with the IQ tongue cleaner.